There are drivers that are impatient, always in a hurry, and easily irritated. These are aggressive driving habits that lead to road rage and cause highway problems and road accidents, the ninth-leading cause of human deaths. A lot of people have died on the road because of lack of discipline and road rage. To avoid this problem, numerous transport and taxi companies conduct training and push their drivers to practice disciplined driving at all times. 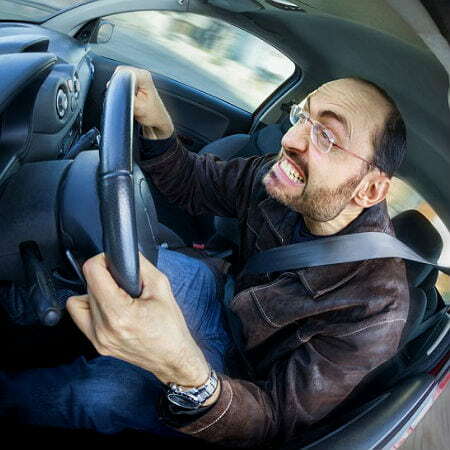 The following are the typical aggressive driving habits and reasons behind it. These areas are what vehicle operators should focus on their training to improve driver performance. It’s hard to exactly tell why many drivers just love to honk their horns. Do they love the sound it makes? Because excessive blowing of horn won’t blow the cars away in front. It will only irritate the people inside the other vehicles on the highway. It becomes alarming when a driver doesn’t care honking near hospitals and schools. Reminder: horn should only be used for emergency cases. Too much pounding of horn won’t speed up the traffic. Many drivers think they don’t need to use the seat belt especially if they are driving at a low speed and on roads with less traffic. Most countries are strict when it comes to seat belt rule while some consider non-wearing of seat belt a secondary offense, which means, drivers who choose not to use it can’t be ticketed. But companies who want to ensure the safety of their drivers should enforce the use of seat belt at all times. Dropping and picking of passengers at No Stopping zones is one of aggressive driving habits common among many drivers. Stopping in these areas are dangerous. Drivers should load passengers in safe areas where passengers will not be at risk of being run over by other vehicles. According to studies, use of cell phone while driving is the leading cause of accident on the road today. Drivers find it hard to ignore their phone if they hear it ringing and it can be very distracting. The good news is, you have a control over this, you can prevent this kind of accident from happening. Aggressive drivers habits also include frequent changing of lanes if the vehicle in front of them is very slow. This is an indication of being impatient, and this is a perilous road habit especially if the driver does not use signals when changing lane, leading to accidents. Harmful employee driving behaviors can affect and hamper the growth of your business. You could lose assets and manpower as a result of aggressive driving habits. That’s why it’s important that you are aware how your drivers behave on the road. With GPS tracking technology, you will be able to keep track of your drivers’ performance. Installing GPS device on your fleet allows you to keep track of your driver’s road behavior. You can set a speed limit on the system and you will automatically receive an alert if the vehicle is running at a speed past its limit. The system can also give you insights of where and when your vehicle violated traffic rules. GPS tracking solutions will help you ensure your vehicle’s and your driver’s safety.